<!-Kerr Eby. 1890-1946--> Kerr Eby. Still Hollow. Still Hollow. 1936. Etching, aquatint, and sandpaper ground. Giardina 185.ii. 10 3/16 x 14 1/2 (sheet 13 1/16 x 17 7/8). Edition 100. Illustrated: Fine Prints of the Year, 1936. A rich tonal impression printed on cream laid paper. A rich impression printed on white wove paper with full margins. Signed and annotated 'imp' (imprimit) in pencil, indicating a proof printed by Eby. $2,250 the pair. Still Hollow. c. 1936. Preliminary pencil drawing for the etching, Giardina 185.ii. 11 3/4 x 12 1/2 (sheet 12 1/4 x 15 5/8). A fine drawing on watercolor board. Signed in pencil, lower right. $2,250 the pair. Eby is known for his stark and lovely landscapes of Connecticut in the winter. He first got to know Connecticut when he spent several summers at the artist’s colony at Cos Cob immediately before the First World War. There he became friends with the American Impressionist artist Childe Hassam, who was almost thirty years older than Eby. Eby and Hassam had a close working relationship, with the younger artist providing the older artist with technical advice on etching and the use of his etching press. Following the War, Eby married Frances Sheldon, whom he had met in Cos Cob, and the couple eventually settled in a pre-Revolutionary War saltbox house in Westport, Connecticut. 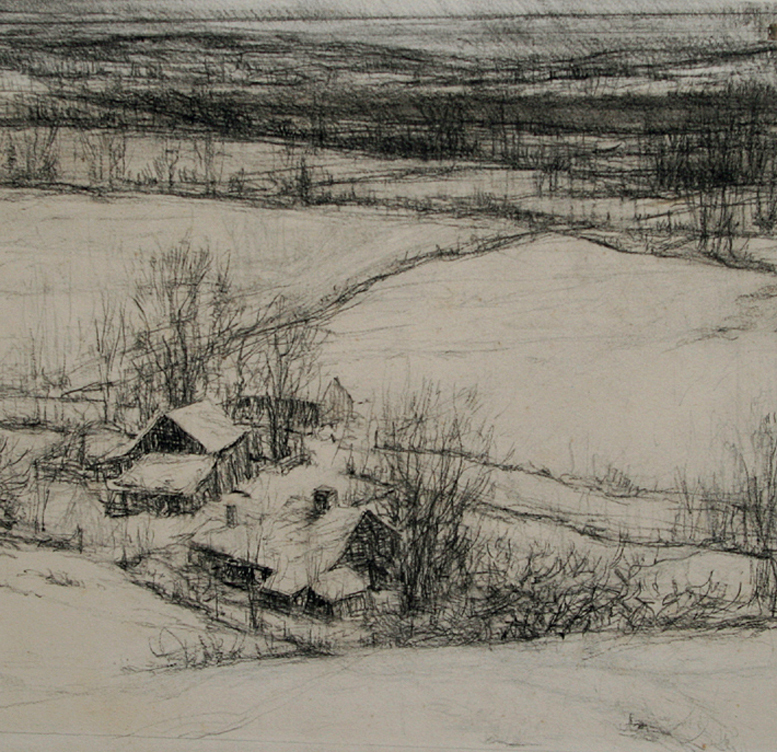 Eby immediately began to produce etchings that depicted the Connecticut countryside. 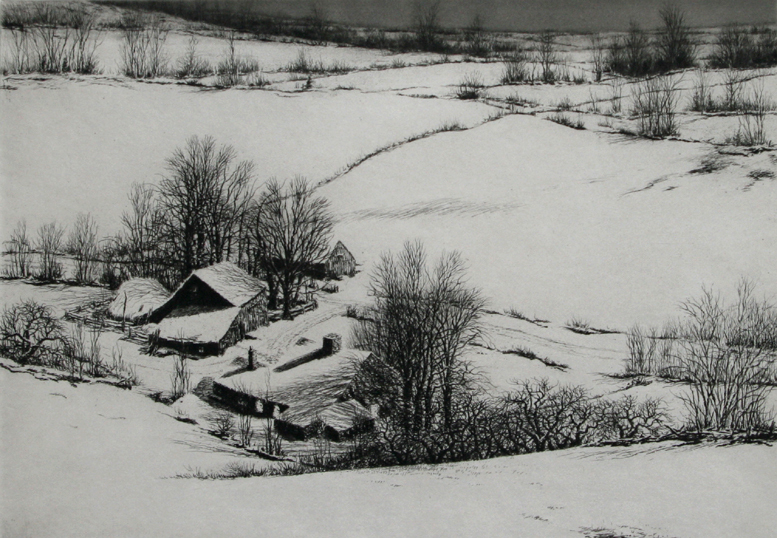 Hw became known for his sensitive rendering of snow scenes.